We are celebrating OhMyVera's third blogiversary today! Three years ago today I decided that I was going to write a blog. The blog post wasn't very exciting...I pretty just declared that I was going to start writing a blog about Vera Bradley. The next day I got started and wrote a post about the first time I saw a Vera Bradley bag. You can see that post by clicking here. I probably say this every year, but I never would have guessed that I would still be writing this blog today. I really enjoy being able to connect with other Vera Bradley fans whether that is here on the blog, through social media like Facebook, Twitter or Instagram, or even in person when we run into each other at a store. To celebrate I am giving away a Medium Cosmetic in Heather (a Fall 2013 color) and a Vera Bradley journal that was made in honor of the 100th Anniversary of Vera Bradley's birthday. To enter the giveaway use the Rafflecopter below! I love reading your blog and seeing pics of the new stuff. Congrats on 3 years!! P.S. I am really honered that I could help you out when I got that jewelry survey. You are sweet to do a give-a-away! My favorite thing to read on your blog is the previews of potential colors from the surveys and previews of new styles. Luckily, my local store has had preview sales for the last five sets of new colors, but your blog always tips me off to when they are starting! Great blog! I love some Vera Bradley Congrats on 3years!! I enjoy your blog. Congrats on 3 years. Hope there are many more! My favorite is seeing new vera colors - yay! Congrats on three years! I love this blog!! You are my go-to Vera blog! Thanks for all of your work on the blog!!! My favorite Vera item is my large duffel in Watercolor. The pattern never fails to make me smile. Yay! Happy Anniversary! I love your blog! Keep the info and vera love coming! Congratulations! Thank you so much for keeping us updated on all things vera! Your blog is wonderful! before browsing Vera's website. I love the detailed photos of new lines, reviews of products you actually use, and the deal alerts. Keep it up the great work! I love your blog! Congrats on three years! That anniversary journal is neat, I've never seen anything like it. Happy blogiversary! I love your sneak peeks and advanced information on new and upcoming Vera! Thanks so much for sharing and happy 3 years! Wishing you many more filled with love for Vera Bradley, good health and happiness! Happy Blogiversary!!!!! I check your blog every morning for new posts! I really enjoy it!!! I have a backpack with an older pattern in red. It must be about 11 year old or so. It has the thicker straps and it had a drawstring and a snap for security. I so wish they had one like that now. I love it. The only issue is that the snap is so falling off --I have used it that much. Happy Blogiversary! Love reading your blog, and glad I found it. Keep the great work up! Thanks, Alison! You've changed my (purse) life! Time flies when you're having fun. Love your blog. I love getting early info on the patterns for the season, new products, sales and your evaluation of the products. This is a fun blog and I look forward to new posts. I check at least once a day! Wishing you many more years of happy blogging! I have enjoyed all of your sneak previews at new styles and colors over the past three years--it's where I always find my new favorites before they hit the store shelves! Congratulations on your anniversary! Thanks for writing your blog. I appreciate all your work, and I enjoy reading it. Congratulations on three years! Your blog is my favorite and all the time you put into it shows. I love the new pattern previews, blogs about upcoming promotions, and also all your reviews on the products you have. I will continue to follow you as well as recommending your blog to my friends. I love reading your reviews of products, especially those in which you compare two products. Also love the preview pics! I love seeing upcoming patterns! Congrats on three years! Your blog is how I see what the new Vera is coming out. I LOVE it! I love your blog because it makes me feel less alone. My husband, family, and friends love me but many make fun of all the VB I own. I come here and find a community of people like myself. Oh, and I love the previews! I love your blog, especially all the previews of future patterns! Congratulations on 3 years! I love reading your blog. It's great to see previews of the new patterns. I also love researching old patterns and styles when I see something new on ebay and I'm not sure if I'd like it. Your blog is a wonderful resource for VB lovers. Thank you for making it so great! Happy anniversary on your blog. I love reading about the new colors and patterns. It's great how you put up the short videos with the different colors both inside and out. Thanks. Congrats on your 3 year anniversary! I love reading your reviews of VB products and your descriptions of the patterns. Your blog is a musy read/follow for all VB fans : ). Congratulations. Looking forward to many more posts. You are my go to source for new products and patterns! congrats for 3 years! i love reading your blogs, seeing pics other people with retired patterns and news about upcoming patterns! i'm looking forward for your future posts! 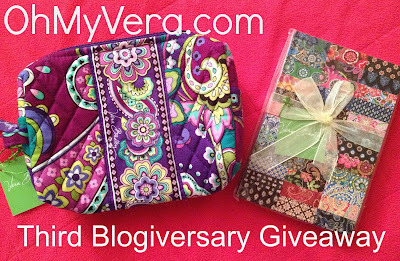 I recently found Vera Bradley and your blog - love both! I really enjoy reading reviews on the different bags, and seeing the upcoming new patterns & styles! Love this blog, lots of great Vera info! Happy Anniversary! I love seeing all the sneak-peeks for new items, and also love the reviews! Awesome giveaway! Would love to have! Thank you for all the updates on new releases and sales you're awesome! Heather is my favorite pattern from Fall 2013. I love your blog! I love seeing other peoples out and about Vera finds :) It makes me feel less silly when I notice them! Congratulations on the blog! Always lots of fun information! I love your blog! The best Vera blog out! Congrats on your blog turning 3! My favorite item is the hipster! And thanks for holding this giveaway! My favorite feature of the blog is the Vera sightings. It's made me much more aware of how much Vera is around me - I just need to be faster with my camera so I can submit some of my sightings! I love reading your blog!!!! Thank you for keeping me up to date on all the latest Vera news!!!! Love seeing the new colors months before they are released. I also enjoy reading reviews of products and comparisons between similar Vera goods. I love your blog and the fact that you always have the latest information for us! Seeing all the new patterns months before anyone else releases them is one my favorite things! Happy 3rd blogaversary! I love reading the posts where you show us sneak peeks of new patterns. Hi! Congratulations! My favorite thing about the blog is when you give the scoop on the new patterns. Such a great blog! I love finding out about new patterns ahead of the time! I'm especially happy when I see a future pattern I love like Go Wild! Congratulations!!!! MY favorite Vera Bradley is my Mandy in Very Berry Paisley. I love seeing the new patterns on your blog!!! Congratulations on your blogiversary! I love the sneak peaks. I also like the fact that when you post photos of your purchases, you include lots of good views; even more than there are on verabradley.com. Would you please share my view on some of the recent changes to the handbag selections? As a vegan, I know there are a lot of others that share my thoughts. The Frame Bag, my favorite style after Alice was discontinued, is now also also phased out as a result of being replaced by the Barbara frame bag, which is made from leather. I would really have loved to have purchased a structured bad in the new spring colors, but now can only hope that a new style will come out in the future. I enjoy reading about the new colors for each upcoming season as well as when you share what different bags/accessories are like. I enjoy your haul and review posts!! As well when you post upcoming sales and deals!! Thank you!! I love your pattern previews!:). It always gives me something to look forward to. I love your blog. I especially love your sneak peeks. :) Thank you so much for keeping us all updated. A big Congratulations for hanging in there with your blog. It is fun to see so many people enjoying your blog and being able to read about what you all love, Vera Bradley. I do like seeing all new items that are coming up. I like seeing the preview colors. Congrats! Love seeing the pattern previews! My favorite thing to read about on your blog are the upcoming new patterns! I also like finding out about store promos. Happy Anniversary, love your blog! Also love this giveaway, so cute! Congrats! I pull up your blog about five times a week to see what's new. I love seeing the new pattern swatches, but I also enjoy seeing your hauls and how you use them. Happy Blogiversary! I always enjoy reading and finding out about previews. Keep up the great work! I just started following your blog and purchasing Vera Bradley. Love the upcoming fall and winter colors, and Heather looks beautiful on that cosmetic bag. Thank you for a giveaway! I have been following your blog for about a year now, and I check it almost every day. I would definitely consider myself a super fan of your blog and Vera Bradley in general. My favorite pattern is Folkloric for sure. I love learning about new releases and products early. I am excited for the baby line right now! 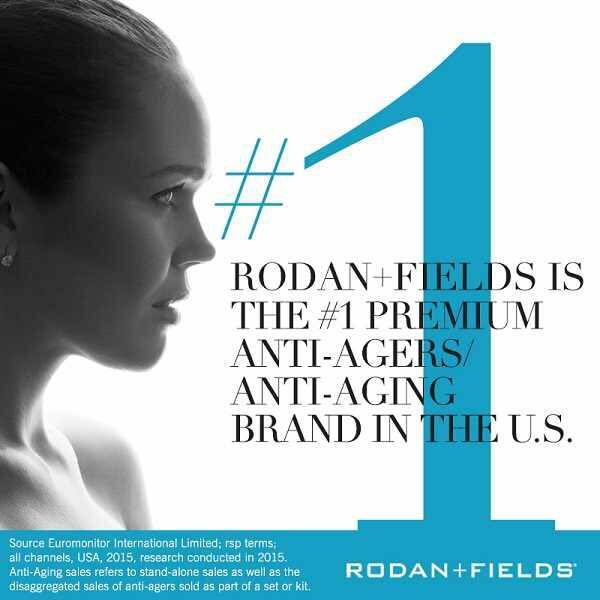 I also enjoy learning about products that you have bought and their uses. Keep up your great work, Allison! You have inspired me to be colorful everyday! Thanks for the giveaway. I just had someone at the Vera Bradley store (an employee) tell me about your blog!! So excited! I love Vera Bradley! I don't think I could pick a favorite, but I am in love with 2 of the new Spring patterns (Jazzy Blooms and Plum Crazy). I can't wait to see the baby line and Summer items! Love your blog! I would love to win the contest! I love the previews of the new patterns and styles. I'm in Omaha and there just isn't much of a selection here. I do most of my shopping online so your sale updates are great too! I always find out the most interesting VB info that you can't find anywhere else. Thanks for all of your time and effort! I love you having the preview colors! You keep me wanting more and more Vera!! Gosh, my favorite piece of VB is most likely my Weekender in Cupcakes Pink. It just makes me so happy every time I travel. I love using it. Even after three years of having it, it's still my favorite piece. My favorite thing is previewing the upcoming patterns, you always have so much great stuff to show! Thanks! I love just about everything! I really love the travel cosmetic bag the most! Love your blog and how you always have the latest info on Vera Bradley. The turn lock wallet is my favorite VB item. I love you blog!!! My favorite piece of VB is my Lizzy in English Meadows. Congrats! I always love seeing the new colors well before they come out! Your blog is awesome! My favorite parts of OhMyVera are the previews for upcoming colors/releases and your reviews of products! I loooove your bits about patterns and new styles coming out in the future, I get all giddy like Christmas morning!! It would be great to see retired patterns in some of the new style bags. I would have Botanica, Cupcakes Pink/Green and Peacock all over the place haha!! I love reading about the new upcoming styles and patterns! I love the On the Go. I'm a longtime Vera fan -- I have 6 kids, so I have several diaper bags and totes -- and blog reader. Happy anniversary! My favorite posts are the season previews. :o) I *love* Heather! Thanks for holding the giveaway! Thanks for the opportunity! I am already a member of ebates so I am just leaving a comment, am a Facebook fan of yours, and I tweeted about the giveaway. I love the reversible totes! i love the black wallets and the older Vera Bradley prints!!! Loving the new prints for this year! Congrats on 3 years! I love hearing Vera news from you!! I love the season previews you post. Thanks! Thanks for blogging for so long! You make it look easy so I did it too! LOL My favorite Vera item is ANYTHING in Happy Snails! Just cant get enough! Way to make it to your 3 year blogiversary!!! :) I love that you've taken something that you (and countless others) love and have created this little community!! I love the unveiling of the new colors each season and making my wish lists!!! :) Keep on blogging! I love seeing all the new things happening on here!Also the unveiling of colors!